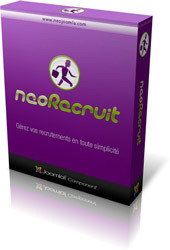 This module allows to automatically display the tree of the categories created with the component NeoRecruit, without having to create menu items for each category. On top of that, several new options have been added to the module, you will find the detailed list in the full description below. Read the full description of this new release.